Over the weekend, I hit a local Farmer's Market to see what goodies I could find for my daily smoothies! I was not disappointed. 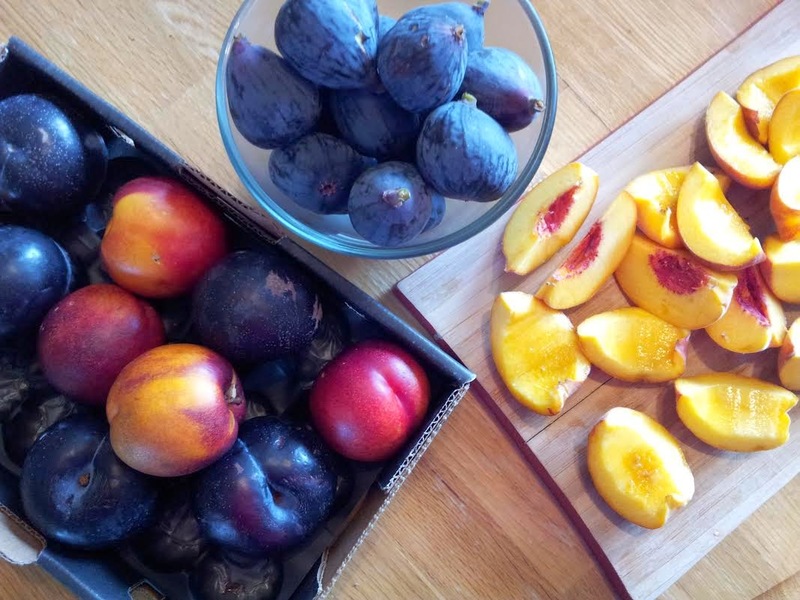 I landed some stellar Black Plums, Nectarines, Peaches and Figs! I got to work Sunday morning washing, chopping, pitting & then throwing each into their own freezer Ziplock bag. I don't bother removing the peels (lots of fiber) because the Vitamix makes those babies disappear and I also don't bother freezing the fruit on a tray first. I find that if I don't over crowd the bags and lay them flat to freeze, that I have very little sticking. This little bounty should satisfy me nicely for the week when paired with additional smoothie ingredients. I have no plan for any of it; I will just wing it and post the successful recipes for you guys. So get out there, buy what looks tempting, experiment & enjoy the fruits of summer!